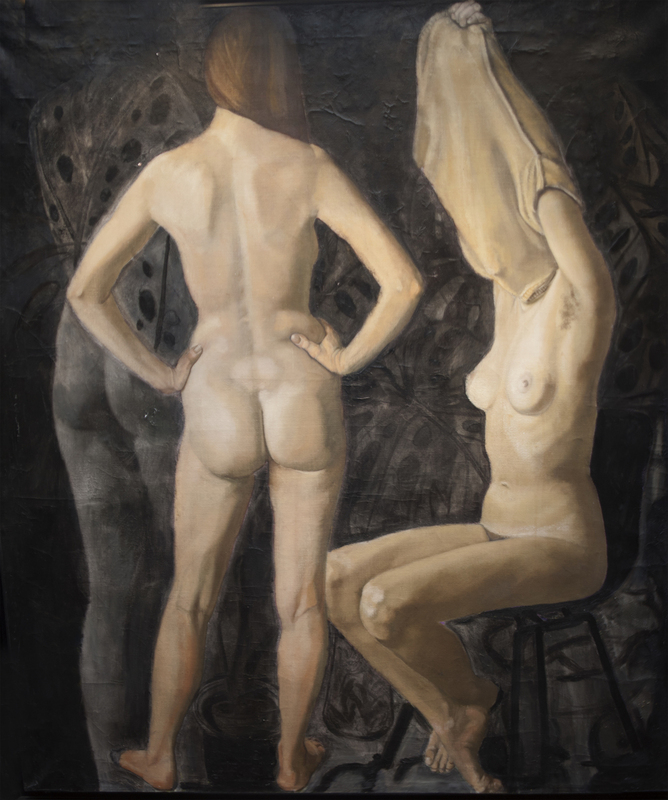 "Three Figures," 1974, oil on canvas, 48x43 in. 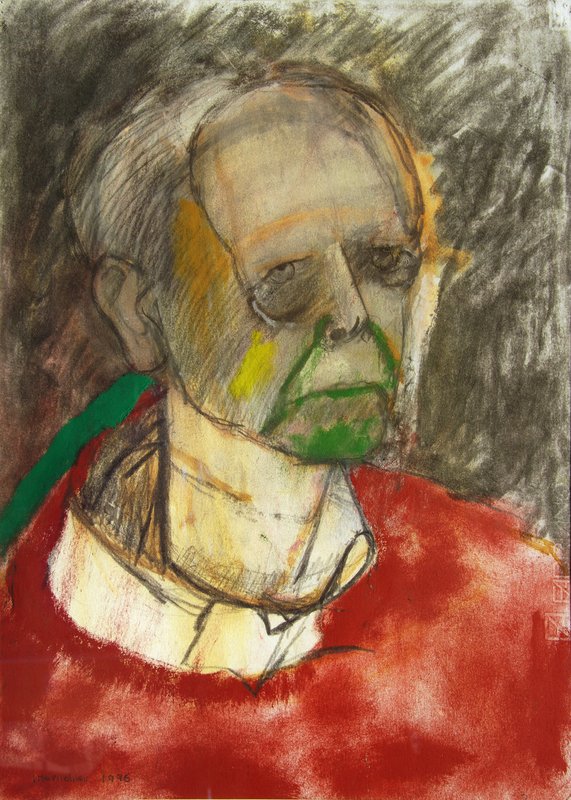 "Model with Crossed Legs," 1988, pastel, 30x22.5 in. "Modele aux Contours Rose," 1991, pastel, 31x23 in. "Model in a Big Armchair," 1979, charcoal, 21x16 in. "Plump Model," 1979, charcoal, 20x15.5 in. "Model in a Big Armchair 3," 1981, charcoal, 20.5x18 in. "Model's Back," 1983, charcoal, 26x20 in. "Blond 2," 1987, charcoal, 30x22 in. "Olivier 2," 1981, charcoal, 22x15 in. "Philippe," 1984, charcoal, 21x15 in. "Self Portrait (with Saw)," 1997, archival ink jet print, 14x14 in. 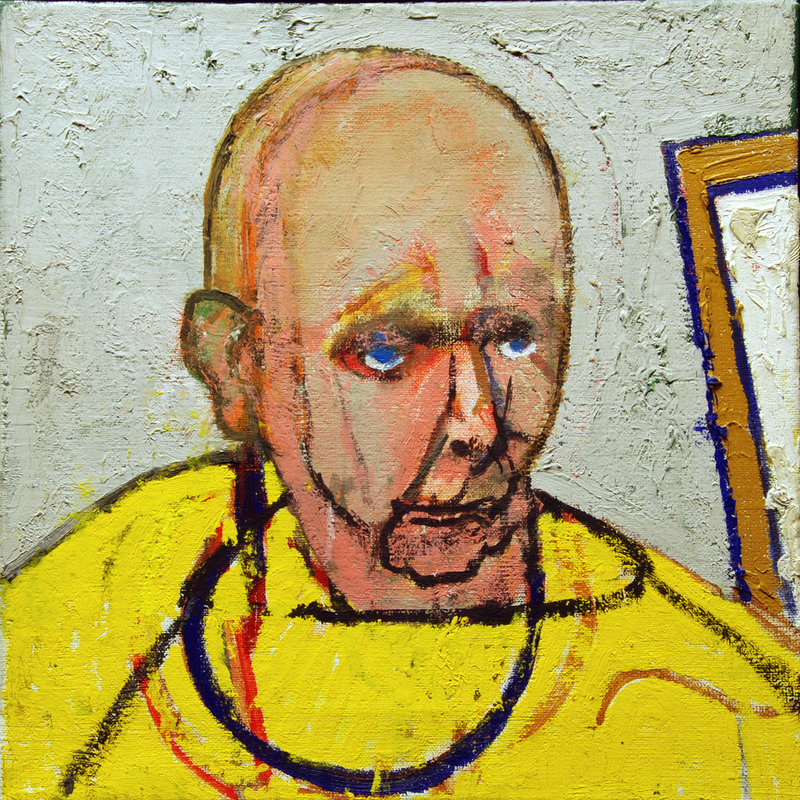 "Self Portrait (with Easel, Yellow and Green)," 1996, archival ink jet print, 24x18 in. "Self Portrait (Green)," 1997, archival ink jet print, 14x14 in. "Figure in Studio," 1995, archival ink jet print, 14x8 in. "Self Portrait (Yellow)," 1997, archival ink jet print, 14x14 in. "Figure in Studio," 1995, archival ink jet print, 24x18 in. "Self Portrait (In the Studio), 1996, archival ink jet print, 18x13 in. "Self Portrait (with Easel)," 1998, archival ink jet print, 14x10 in. "Self Portrait (Red)," 1996, archival ink jet print, 18x13 in. "Erased Self Portrait," 1999, archival ink jet print, 18x14 in. William Utermohlen was born in Philadelphia in 1933 and is a graduate of the Pennsylvania Academy of Fine Arts. He additionally studied at the Ruskin School of Art in Oxford, as well as in France, Spain, and Italy – where he developed a lifelong love for the work of Giotto, Piero della Francesca, Andrea Mantegna, and Nicolas Poussin. Utermohlen died from complications of Alzheimer’s disease in March 2007. 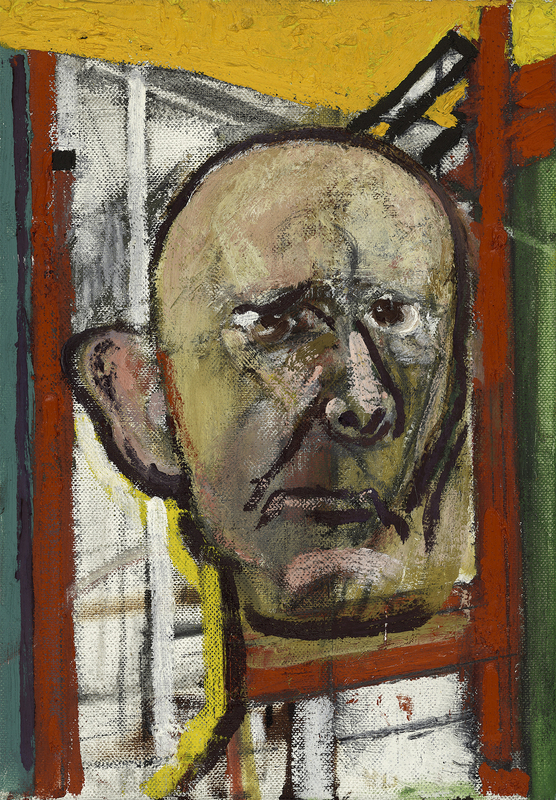 Following his death, an exposition of his work, “Portraits From the Mind” chronicling his descent into Alzheimer’s was exhibited in Chicago and Paris. Another exhibit, “The Latter Works of William Utermohlen” also showed nationally.